The Catalog 180 and 181 mortise type door openers are dependable long service devices, providing the security and convenience of remote control door-lock operation. 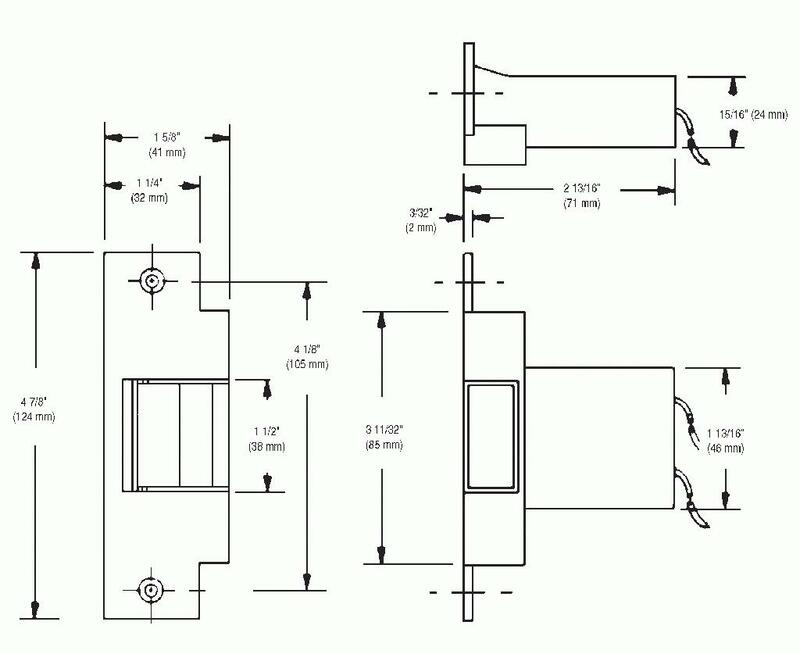 These units are used with cylindrical, bored type locksets and conform to ANSI specifications for steel door frames. The door remains locked until the opener is electrically actuated by a contact device. For AC operation, use with either an 88-50 or 596 Transformer.